Blend your very own Gin with the Eden Mill Blendworks Experience at Macdonald Rusacks Hotel in St Andrews. 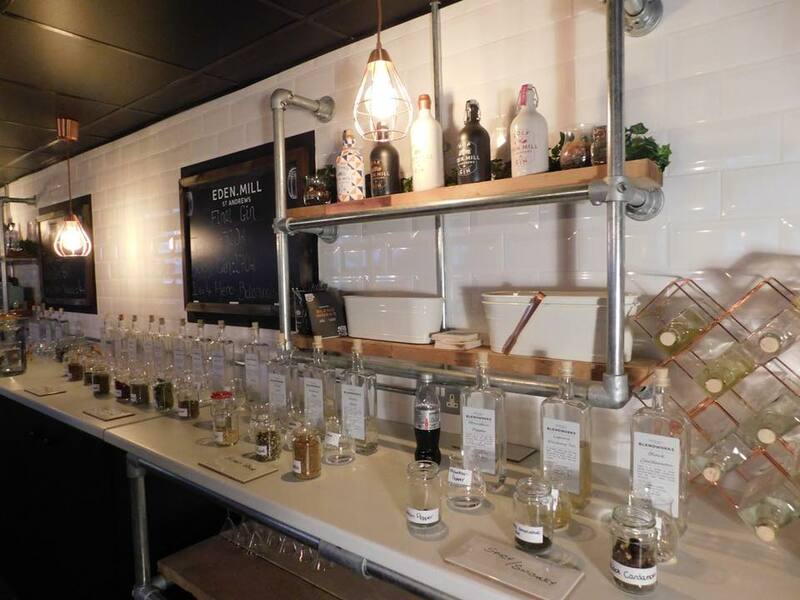 A fun, informative and highly interactive experience that will be thoroughly enjoyed by any gin lover. 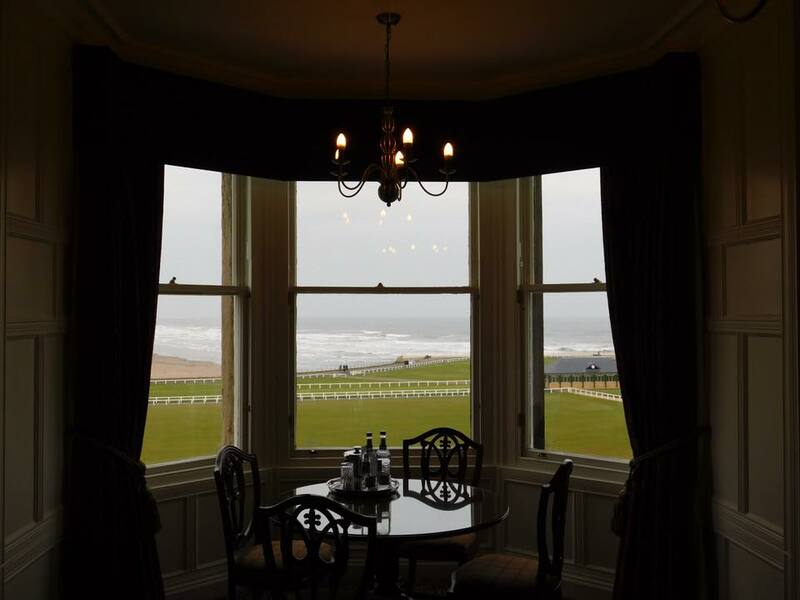 Located within the historic 4 star Rusacks Hotel with views of the 18th green of the world famous Old Course and West Sands Beach. It's always nice to have something in the diary to look forward to after Christmas as once all the hustle and bustle of the festive season has passed, the start of a new year can seem rather dreary in comparison. Last January I headed with my friend Kirsteen to Ballintaggart Farm where we enjoyed an idyllic overnight stay and participated in their Seasonal Suppers Class. It was the perfect start to the year and a fantastic opportunity to share good food, drink and friendship. 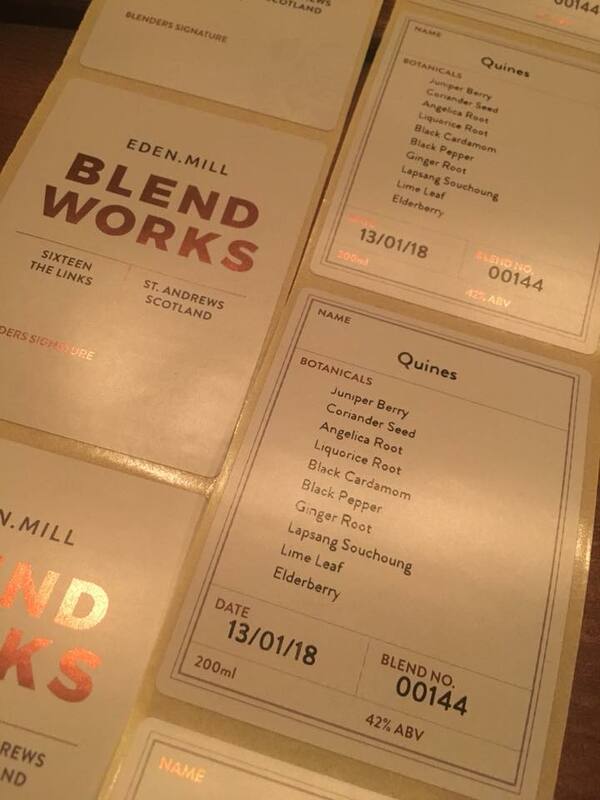 So when I was asked by Macdonald Hotels if I'd be up for trying out their D,B&B with Eden Mill Gin Blending Experience in January 2018, it seemed the perfect opportunity for a repeat of a girly night away. 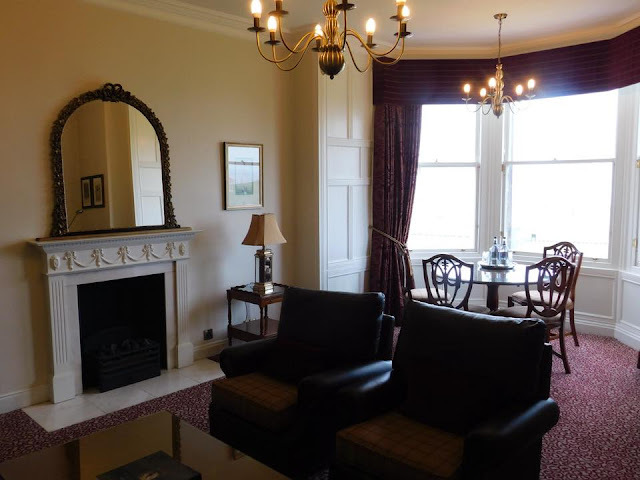 The fact it was to be in St Andrews, one of my favourite Scottish towns, was an added bonus. The plan was to make a leisurely train journey from Stonehaven to Leuchars, however five weeks of Sunday engineering works had closed the line so we instead opted to drive rather than rely on the vagrancies of a replacement bus service. 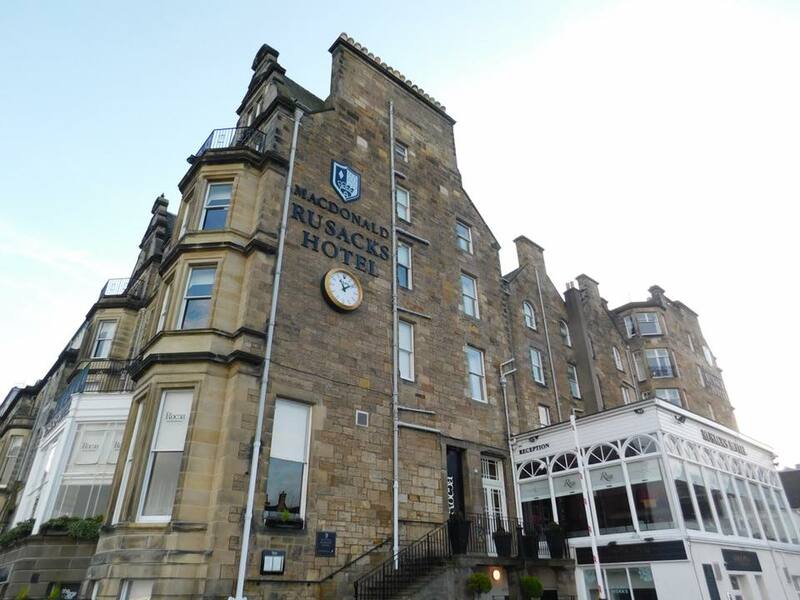 Rusacks Hotel is situated in the most perfect location right on the 18th hole of the iconic Old Course. Their Dinner, Bed & Breakfast package inclusive of a Gin Blending Experience at Eden Mill Blendworks is priced from £164.50 per person per night (depending on date and choice of room). We were shown to our room - The Bobby Jones Suite - which can only be described as stunning. It had surely the best views in the whole of St Andrews. We could actually have spent our whole time sat in the bay window watching the golfers play the 18th hole and imagining ourselves running on the West Sands in true Chariots of Fire style. Even the loo had a view although alas I didn't manage to indulge in the long luxurious bubbles that the gorgeous bath was just crying out to be filled with. Bubbles of another kind were indulged in however as Champagne and Chocolate Coated Strawberries were delivered to our room to welcome us to Rusacks. The level of customer service received from all the staff in the hotel throughout our stay was second to none. Nothing was too much trouble for them, service was most definitely with a smile and their food, drink and general St Andrews knowledge was obvious. Despite the lure of our fantastic room with a view, we headed out for a couple of hours and enjoyed some retail therapy in town and lunch at Mitchell's Deli. 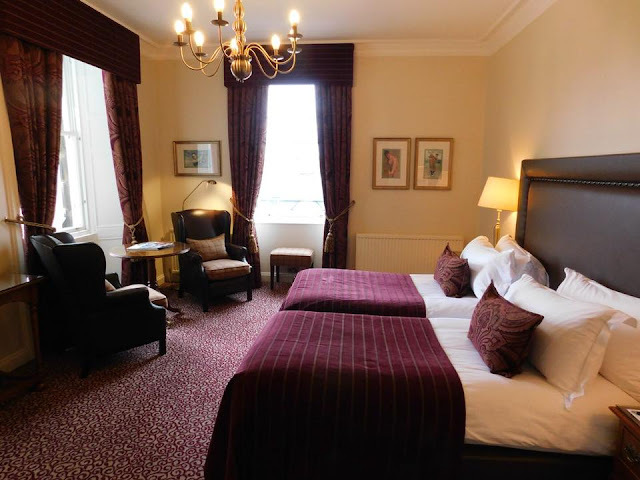 The hotel is only a five minute walk from the town centre so perfectly placed for exploring all that St Andrews has to offer. The Blendworks experience runs at 4pm for 2½ hrs from Tuesday to Saturday. 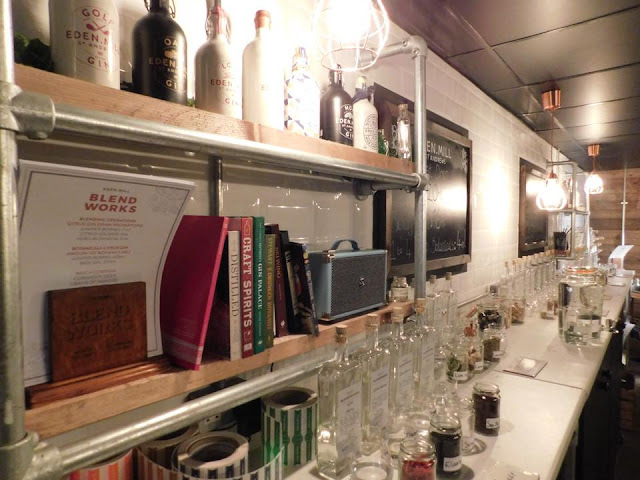 It's located in a Gin Classroom below the hotel's R Bar. It is basically the most amazing looking science laboratory ever! The maximum group size catered for is 12 and you really do feel like you get your own personalised experience. Our hosts were Jasper, Sasha and Charlie who welcomed us with a G&T. This was the Scottish Rugby Gin which was blended by Scotland players who choose the gin's flavours and qualities, including a magical little botanical called milk thistle, known for its restorative medical properties. With drinks in hand (the first of three provided as part of the experience) Jasper led us through the murky history of gin from an ancient remedy to Jenever, the roller coaster of distilling in London, Gin Lane, Mother's Ruin, bootlegging and cocktails in the States, and the current booming craft gin revolution. Now for the fun part. 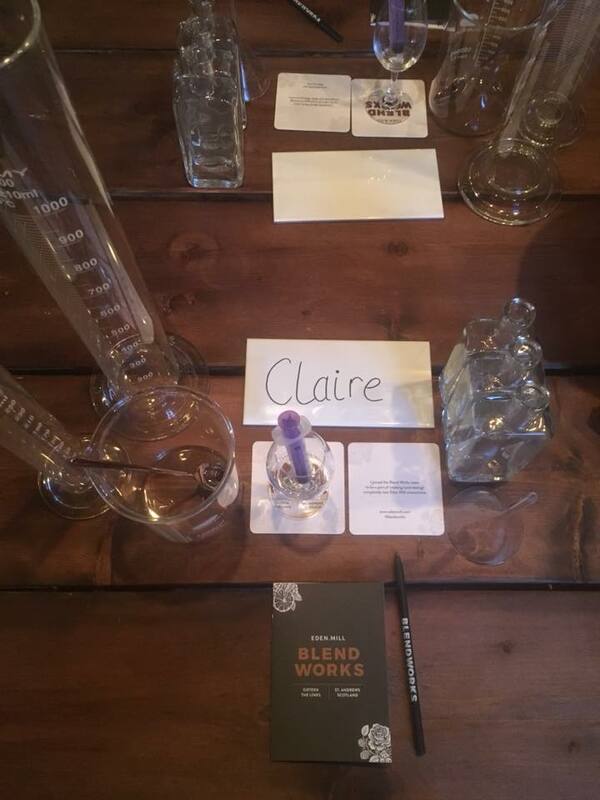 Blending our own gin! We started, as all gins must start, with a base of juniper. To that we tasted four variants of base botanicals and chose our favourite. Floral, Spice, Citrus and Sweet. I opted for Spice which was a combination of coriander seed, angelica root, liquorish root, black cardamom, black pepper and ginger root. 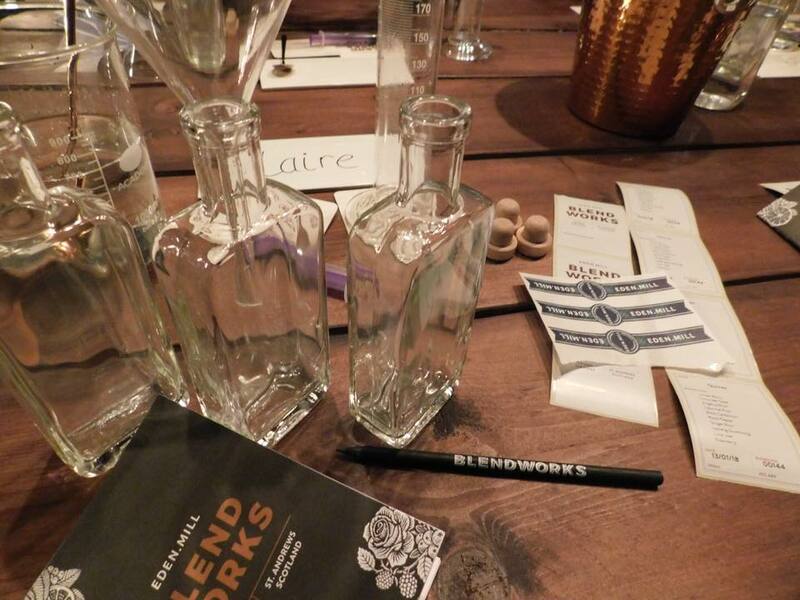 To this we then had the opportunity to add up to five additional flavour profiles - the hero botanicals. There were so many to choose from but after a good old sniffing session I plumped for Lapsang Souchong, Lime Leaf and Elderberry. With my ingredients list chosen Jasper helped me to work out the quantities of each to use and at last I got to use the chemistry set to make up a 40ml test measure of my very own blended gin. To ensure I was happy with my product it was made into a perfect serve with Ice, Tonic, Ginger Beer, Ginger Bitters and a garnish of rosemary and lime. Delish! At this point I also had to come up with a name for my Gin Blend. There really was only one that I could go for 'Quines'. Now for the full on production process. 640ml of gin to fill 600ml of bottles. How would that work? This time we got to use the huge measuring cillinders followed by the funnels to fill our bottles. 'O' Grade Chemistry at school was never this much fun! The leftover 40ml made our final drink, a classic Martini. I opted to have mine dirty. Further choices to be made with the bottle corks and seals before sticking on our personalised labels and attempting to ensure they weren't too squint. 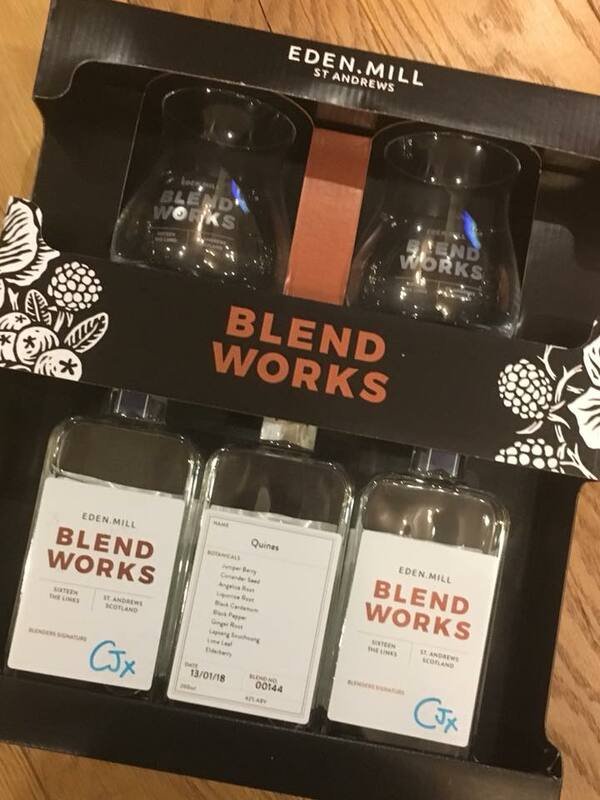 Our creations were then gift packaged along with two 'Blendworks' glasses before we were each presented with a certificate to commemorate the gin blending experience. We'd actually overran a wee bit on timings and the whole experience took close to 3 hours but what an amazing way to spend an afternoon! If you are a fan of Gin I can't recommend it enough. Informative, highly interactive and most of all fun. There was great banter with everyone in the group and were were all absolutely delighted with our final product. By this point we were running a wee bit tight for our 7.30pm dinner reservation, so popped in past the restaurant to let them know we'd be closer to 8pm. The package comes with Dinner in One Under Gastro Pub or £25 allowance towards Rocca Bar & Grill. We'd opted to dine at Rocca, one of only 25 restaurants in Scotland to achieve 3 AA Rosettes. 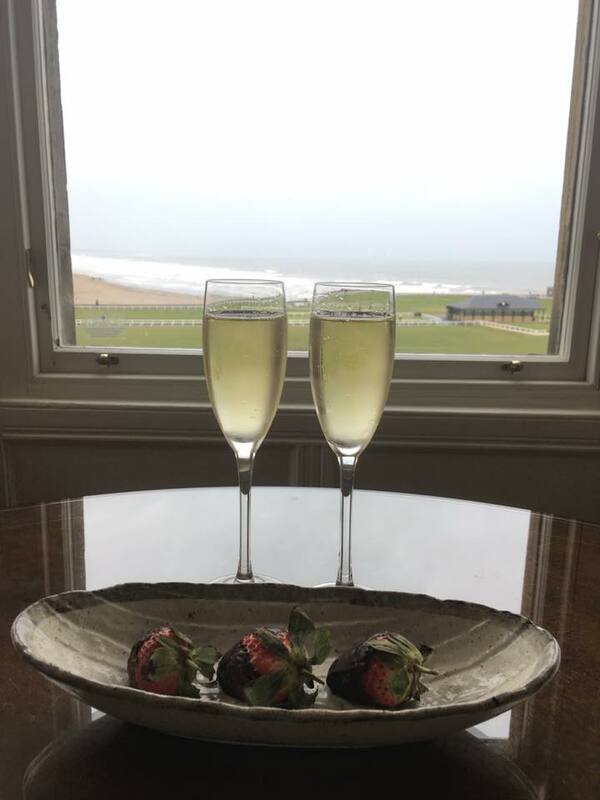 We enjoyed a glass of champagne whilst perusing the menu before ordering up starters of crab tortellini and poached chicken and mains of mushroom risotto and ribeye steak with peppercorn sauce. All were absolutely delicious as was the accompanying bottle of Pino Grigio. Again the staff were excellent. Attentive and knowledgeable but not intrusive. To finish we both opted for Cheese and Port before heading through to R Bar for coffee and some Sax from a wonderful young instrumentalist. At this point we met up with another couple on the same Blendworks package who were celebrating a birthday so the four of us wiled away the rest of the evening over Gin and Cocktails. A wonderful sleep was had in the most comfy beds ever and the sun shone over a crisp Sunday morning view of the West Sands. No golf allowed on the sabath but plenty of folk taking the opportunity to walk the Old Course. A full Scottish Breakfast completed our package and blew away any cobwebs from the night before. We squeezed out every last minute until our 11am checkout time before bidding a fond farewell to our room with a view. 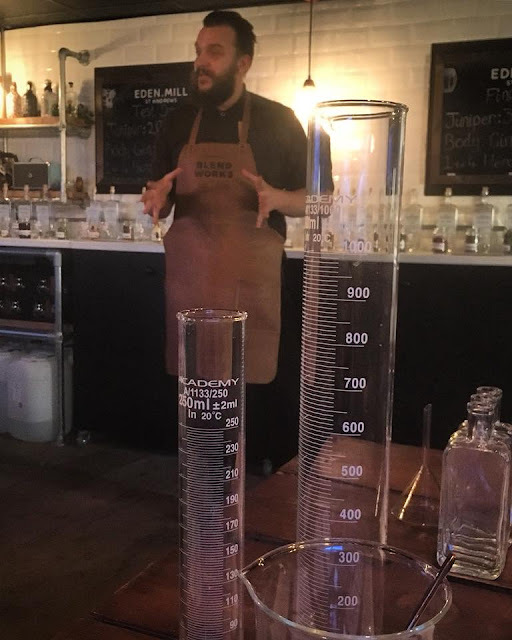 The Eden Mill Gin Blending Experience at Rusacks St Andrews was most definately the perfect tonic. A truly memorable experience with the best party bag to take home ever. 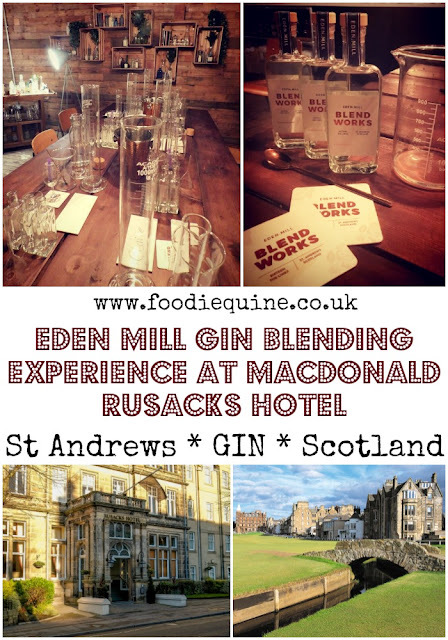 Disclosure: We blended Gin, stayed, and dined as guests of Macdonald Rusacks Hotel St Andrews. As always, all views expressed are my own. I'd love to learn how to blend my own gin! What a great idea for an experience gift - I'll definitely save this for later!! It really does take experience gifting to a whole new level! Sounds like a great date night to me. Really novel and imaginative. The phrase 'date night' makes me cringe but it would be a fantastic experience for couples, colleagues or friends. The settting couldn't have been more perfect. 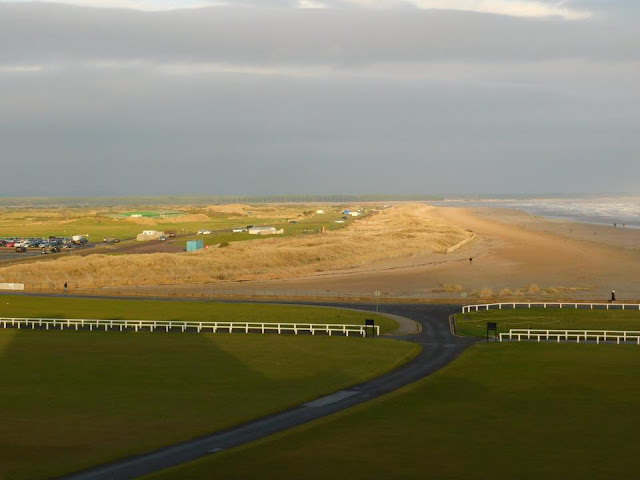 I doubt there is a better vantage point in the whole of St Andrews. That's a really excellent price for such an amazing experience. I'm sure they designed the whole experience around you, Claire - couldn't have been a more perfect January pick me up! Omg Claire I am SO jealous right now!!! You get to do all the coolest gin experiences. 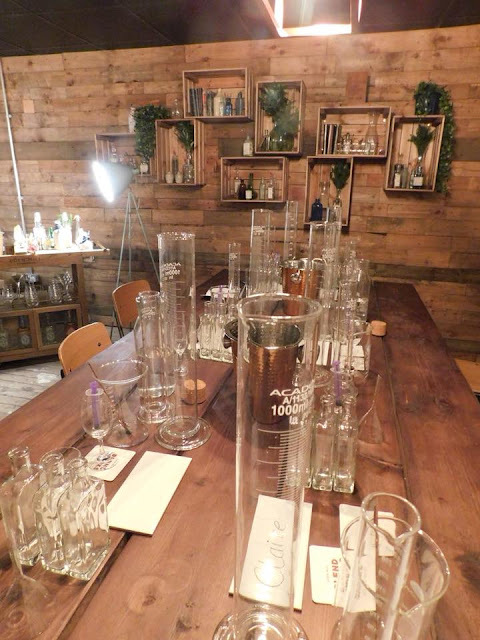 I love how sciencey it is with all the measuring jugs and flasks. 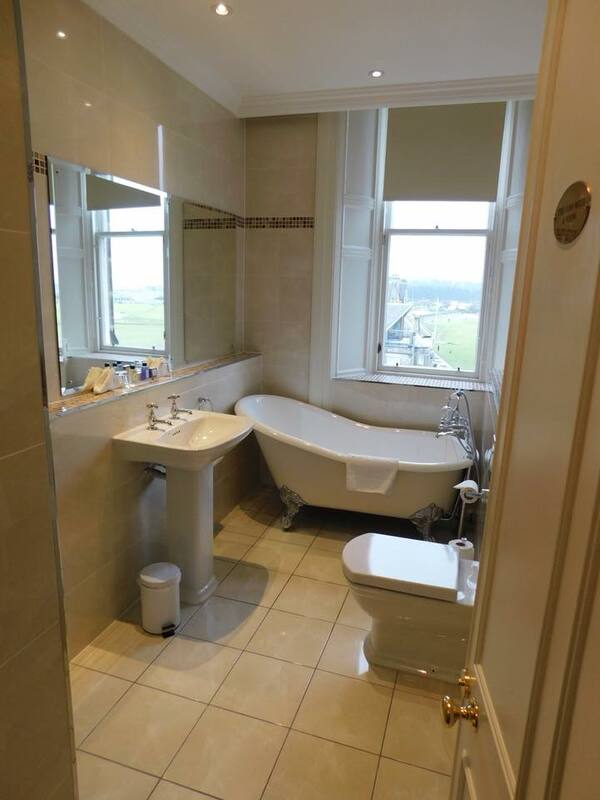 The hotel looks lovely too - that free standing bath is dreamy! So gutted I didn't have time for a bath! Definately the best science lab ever - we could almost have done with lab coats and safety goggles to complete the experience! I'm not a fan of gin but the sight of beakers is making my inner scientist squeal with excitement. I'd go either way!